Steve Mansfield and Janet Daling scored 0.77 masterpoints with a ★65.41%★ game at Sun Lakes Duplicate Bridge Club. See full results of this game. Kathy Litterman and Oris Mowry scored 2.22 masterpoints with a 59.72% game at Bridge On Shea. See full results of this game. Bob Borengasser and Louis Quiggle scored 3.50 masterpoints with a ★65.17%★ game at Sun Lakes Duplicate Bridge Club. See full results of this game. Steve Mansfield and Janet Daling scored 2.63 masterpoints with a ★63.89%★ game at Sun Lakes Duplicate Bridge Club. See full results of this game. Eugene Condon and Maxine Poulton scored 0.83 masterpoints with a 58.1% game at Sun Lakes Duplicate Bridge Club. See full results of this game. Tod Mucci and Paul Glick scored 0.65 masterpoints with a 59.85% game at Sun Lakes Duplicate Bridge Club. See full results of this game. Jim Wart and Richard Catero scored 1.28 masterpoints with a ★61%★ game at Sun Lakes Duplicate Bridge Club. See full results of this game. Larry Anfinson and Janet Daling scored 0.46 masterpoints with a 54.77% game at Sun Lakes Duplicate Bridge Club. See full results of this game. Bob Borengasser and James Wang scored 0.40 masterpoints with a 51.15% game at Sun Lakes Duplicate Bridge Club. See full results of this game. Joe Pospis and Steve Mansfield scored 0.65 masterpoints with a ★60.54%★ game at Sun Lakes Duplicate Bridge Club. See full results of this game. Eva Berlin and Jerry Gaer scored 0.32 masterpoints with a 49.66% game at In Tempo Bridge Club. See full results of this game. Marcia Aspinall and Zelna Morrow scored 1.09 masterpoints with a 55.89% game at Bridge On Shea. See full results of this game. Larry Anfinson and Allan Deserpa scored 6.00 masterpoints with a ★66.04%★ game at In Tempo Bridge Club. See full results of this game. Kathy Litterman and Oris Mowry scored 3.39 masterpoints with a ★60.3%★ game at Bridge On Shea. See full results of this game. Louis Quiggle and Bea Cannon scored 0.27 masterpoints with a 54.26% game at Sun Lakes Duplicate Bridge Club. See full results of this game. Janelle Gibson and Jim Wart scored 0.77 masterpoints with a 57.66% game at Sun Lakes Duplicate Bridge Club. See full results of this game. Joe Pospis and Janet Daling scored 2.53 masterpoints with a ★61.28%★ game at Sun Lakes Duplicate Bridge Club. See full results of this game. John Euler and Tom Reid scored 0.31 masterpoints with a 54.29% game at Sun Lakes Duplicate Bridge Club. See full results of this game. Larry Anfinson and Steve Mansfield scored 6.00 masterpoints with a ★63.01%★ game at Sun Lakes Duplicate Bridge Club. See full results of this game. Paul Glick and Tod Mucci scored 4.50 masterpoints with a ★62.3%★ game at Sun Lakes Duplicate Bridge Club. See full results of this game. Allan Deserpa and Larry Anfinson scored 5.25 masterpoints with a IMP game at Bridge On Shea. See full results of this game. Steve Mansfield and Janet Daling scored 1.07 masterpoints with a 57.59% game at Sun Lakes Duplicate Bridge Club. See full results of this game. Joe Pospis and Bea Cannon scored 0.25 masterpoints with a 53.53% game at Sun Lakes Duplicate Bridge Club. See full results of this game. Larry Anfinson and Richard Catero scored 6.00 masterpoints with a ★65.28%★ game at Sun Lakes Duplicate Bridge Club. See full results of this game. Robert Brower and Roger Edwards scored 1.48 masterpoints with a 58.55% game at Sun Lakes Duplicate Bridge Club. See full results of this game. Louis Quiggle and Bob Borengasser scored 4.50 masterpoints with a ★63.57%★ game at Sun Lakes Duplicate Bridge Club. See full results of this game. John Euler and Derek Mansfield scored 0.74 masterpoints with a 55.24% game at Sun Lakes Duplicate Bridge Club. See full results of this game. Larry Anfinson and Janet Daling scored 5.40 masterpoints with a ★★70.69%★★ game at Sun Lakes Duplicate Bridge Club. See full results of this game. Richard Catero and Eugene Condon scored 1.68 masterpoints with a 57.92% game at Sun Lakes Duplicate Bridge Club. See full results of this game. Steve Mansfield and Joe Pospis scored 1.75 masterpoints with a 58.92% game at Sun Lakes Duplicate Bridge Club. See full results of this game. 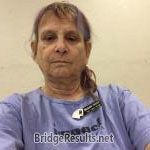 Judith Euler and Frank Bost scored 0.61 masterpoints with a 55.85% game at Sun Lakes Duplicate Bridge Club. See full results of this game. Larry Anfinson and Roger Edwards scored 0.42 masterpoints with a 50.36% game at Sun Lakes Duplicate Bridge Club. See full results of this game. Jerry Gaer and Jack Shartsis scored 1.42 masterpoints with a 55.33% game at In Tempo Bridge Club. See full results of this game. Larry Anfinson and Allan Deserpa scored 6.00 masterpoints with a ★69.09%★ game at In Tempo Bridge Club. See full results of this game. Kathy Litterman and Oris Mowry scored 1.91 masterpoints with a 59.9% game at Bridge On Shea. See full results of this game. Maxine Poulton and Eugene Condon scored 1.48 masterpoints with a ★62.04%★ game at Sun Lakes Duplicate Bridge Club. See full results of this game. Judith Euler and Susan Shaver scored 0.67 masterpoints with a 56.07% game at Sun Lakes Duplicate Bridge Club. See full results of this game. Louis Quiggle and Bea Cannon scored 0.67 masterpoints with a 59.43% game at Sun Lakes Duplicate Bridge Club. See full results of this game. Patricia Sohler and Joe Pospis scored 0.50 masterpoints with a 56.48% game at Sun Lakes Duplicate Bridge Club. See full results of this game. W. Lakin Hines and Jim Wart scored 3.50 masterpoints with a ★67.41%★ game at Sun Lakes Duplicate Bridge Club. See full results of this game. Laine Byrnes and Angela Bailey scored 0.21 masterpoints with a 47.59% game at Sun Lakes Duplicate Bridge Club. See full results of this game. Tom Reid and John Euler scored 0.60 masterpoints with a 54.55% game at Sun Lakes Duplicate Bridge Club. See full results of this game. Carmen Duffek and Jerry Gaer scored 1.52 masterpoints with a 54.59% game at In Tempo Bridge Club. See full results of this game. Jerry Gaer and Dennis Kasle scored 3.94 masterpoints with a ★63.52%★ game at In Tempo Bridge Club. See full results of this game. Stephanie McAdam and Marcia Aspinall scored 0.54 masterpoints with a 50% game at In Tempo Bridge Club. See full results of this game. Allan Deserpa and Larry Anfinson scored 0.61 masterpoints with a IMP game at Bridge On Shea. See full results of this game. Bob Borengasser and Bea Cannon scored 1.13 masterpoints with a 58.3% game at Sun Lakes Duplicate Bridge Club. See full results of this game. Joe Pospis and Louis Quiggle scored 0.67 masterpoints with a 55.16% game at Sun Lakes Duplicate Bridge Club. See full results of this game. Larry Anfinson and Richard Catero scored 4.00 masterpoints with a ★63.26%★ game at Sun Lakes Duplicate Bridge Club. See full results of this game. Larry Anfinson and Bea Cannon scored 0.70 masterpoints with a 57.54% game at Sun Lakes Duplicate Bridge Club. See full results of this game. Steve Mansfield and Joe Pospis scored 2.90 masterpoints with a ★69.69%★ game at Sun Lakes Duplicate Bridge Club. See full results of this game. Jim Wart and Richard Catero scored 0.30 masterpoints with a 55.08% game at Sun Lakes Duplicate Bridge Club. See full results of this game. Eva Berlin and Jerry Gaer scored 4.50 masterpoints with a 57.87% game at In Tempo Bridge Club. See full results of this game. Jerry Gaer and Joan Beuchel scored 0.70 masterpoints with a 54.52% game at In Tempo Bridge Club. See full results of this game. Larry Anfinson and Allan Deserpa scored 3.00 masterpoints with a 57.97% game at In Tempo Bridge Club. See full results of this game. Larry Anfinson and Steve Mansfield scored 0.28 masterpoints with a 53% game at Sun Lakes Duplicate Bridge Club. See full results of this game. Louis Quiggle and Bea Cannon scored 6.56 masterpoints with a ★64.1%★ game at Sun Lakes Duplicate Bridge Club. See full results of this game. James Lenertz and Richard Catero scored 0.32 masterpoints with a 53.18% game at Sun Lakes Duplicate Bridge Club. See full results of this game. Judith Euler and Susan Shaver scored 3.69 masterpoints with a ★61.48%★ game at Sun Lakes Duplicate Bridge Club. See full results of this game. Tom Reid and John Euler scored 0.38 masterpoints with a 53.63% game at Sun Lakes Duplicate Bridge Club. See full results of this game. Linda Taschuk and Jerry Gaer scored 1.69 masterpoints with a 54.32% game at In Tempo Bridge Club. See full results of this game. Louis Quiggle and Joe Pospis scored 3.02 masterpoints with a ★60.07%★ game at Sun Lakes Duplicate Bridge Club. See full results of this game. Larry Anfinson and Richard Catero scored 4.02 masterpoints with a ★60.58%★ game at Sun Lakes Duplicate Bridge Club. See full results of this game. Steve Mansfield and Janet Daling scored 5.36 masterpoints with a ★60.76%★ game at Sun Lakes Duplicate Bridge Club. See full results of this game. I heard that you are going to be the next bridge instructor on Insignia. I look forward to seeing you. Joe Pospis and Janet Daling scored 2.28 masterpoints with a ★64.23%★ game at Sun Lakes Duplicate Bridge Club. See full results of this game. David Zapatka and Susan Barnett scored 3.04 masterpoints with a ★66.69%★ game at Sun Lakes Duplicate Bridge Club. See full results of this game.